Bachelors degree in music from University of North Texas. 13 yrs experience as a studio musician and member of the Musicians Union. Shared stage with Mark Wills, Amanda Marshall, Lisa Loeb and others. Over 10 yrs teaching experience and former teacher of Miley Cyrus. 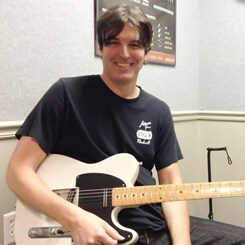 Request Lessons with Christopher Lee today!